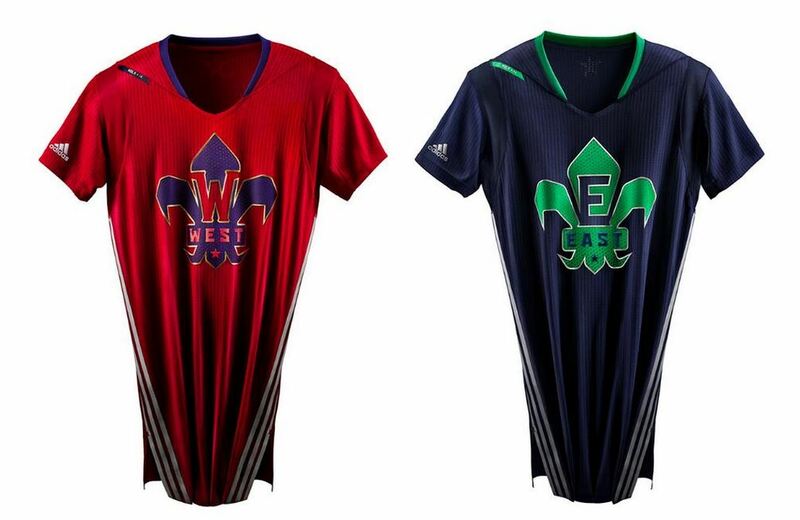 Just when you thought the NBA’s fetish with sleeved jerseys couldn’t get any weirder, the new All-Star jerseys are leaked, later revealed by Adidas. They stick to the new sleeved jersey’s the NBA is trying to impose on teams. The leaked photos of the jersey designs. The West unis are an odd combination of red and purple while the East jerseys have a very northwest colorscheme, one we are all used to seeing Seattle teams rock (ie. 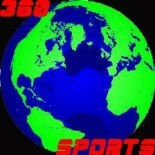 Seahawks, Sounders) consisting of dark blue and a fluorescent almost neon green. 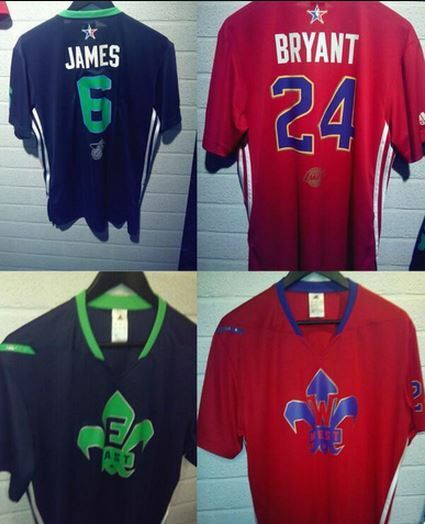 Now I will admit, I am not completely against the sleeved T-shirt-esque jerseys, I’m just against the ones that are designed badly, like these All-Star jerseys that the best players in the NBA will be forced to wear. I understand the concept; the game will be in New Orleans so it only seems natural to used the fleur-de-lis symbol but making it large and boxy and in-your-face is a questionable design choice. Oh well, what you gonna do? What do you think of the jerseys? Will you be buying one of your favorite All-Star? Leave a comment and let us know! This entry was posted on January 16, 2014 by Idalia Topete in Analysis, NBA and tagged Andre Iguodala, basketball, brooklyn nets, Golden State Warriors, Kobe Bryant, LeBron James, Miami Heat, NBA, New Orleans Pelicans.